This short article’s title does not refer to the upcoming Rio+20 summit, which even Ban Ki-moon is publicly worried about (see my piece about managing expectations for the summit, link below). But of course, it could. Nor does it refer to the general, spreading sense of malaise felt by many sustainability activists and professionals — that despite swelling numbers of people working in our field, companies taking it more and more seriously, etc., we are still losing ground rapidly in the fight against the spiraling decay of planetary ecosystems and the exhaustion of key resources. But of course, I could probably write an article about that, too. No, this article is about the words “sustainability” and “sustainable development.” According to Google’s “Ngram Viewer” (which counts the frequency of words appearing in the millions of books that Google has scanned into its gargantuan databases) the race is over. “Sustainable development” has lost, “sustainability” has won. In fact, if the downward trend in the use of “sustainable development” continues (data is actually only available through 2008), then “sustainable development” will have completely disappeared from view by about 2030 … just when we probably need it most, I might add. I’ve copied the graph at the head of this article (is one allowed to do this? ), but you can also click here to see the same graph on Google … and run your own experiments. Things really get interesting when you add the word “resilience,” which can refer to a few other things besides just socio-ecological resilience, the kind of resilience that is considered to be, well, part of sustainability. But still, the steady rise in its relative frequency of use is impressive. 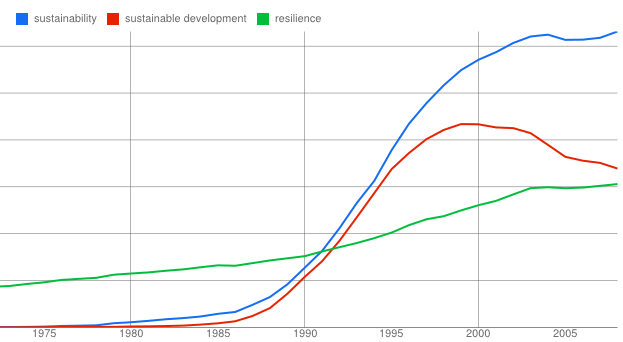 “Resilience” must have passed “sustainable development” about two years ago. Don’t get me wrong: I am a great fan and promoter of sustainable development. I have written (in The Sustainability Transformation) in defense of both these terms, “sustainability” and “sustainable development”: I point out their differences, their complementarity. They are both essential to understanding the nature of our times, and what to do about global problems. I love them equally. 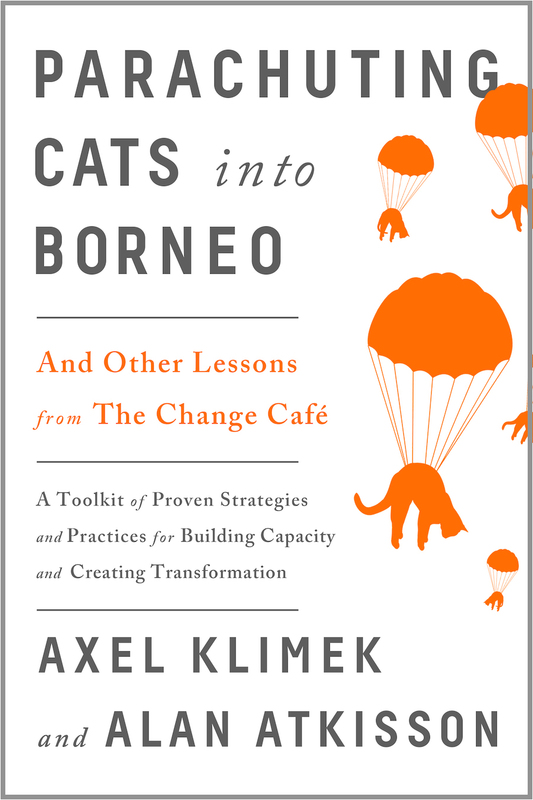 But notice, we used “sustainability” in the title of my book. And I am also observant of the discipline of the market. So I have to ask the question: despite this clear preference that the world seems to have for “sustainability,” why are we still holding global summits on “sustainable development”? And when will we start holding global summits on “resilience”? The way things are going, we are certainly going to need more of that. I hear sustainability a lot when people write and talk. on concrete solutions for concrete issues.